Tanner’s downtown location usually attracted decent crowds but was notorious for poor service. It closed in 2008. 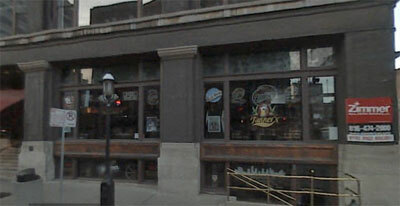 Scooter’s 4th bar, first visited in 2002. Popular but average sports bar. Large main level space plus a separate bar downstairs that I have not yet been to. Food is good but nothing spectacular. Unlike the Waldo location, this place is notorious for poor service so expect long waits — especially if you are seated at a table.